Labrador serves on the Natural Resources and Judiciary committees, where he is a leader on and justice reform. He graduated from the University Of Washington Law School and opened his own law practice that focused on immigration law and criminal defense. Rep. Labrador has been a dedicated leader on justice reform; in 2015 he was the lead sponsor of the Smarter Sentencing Act and a co-sponsor of the SAFE Justice Act and Sentencing Reform Act. These bills are part of an effort to bring the conservative approach to justice reform found in states like Texas and Georgia, which would result in lower recidivism, fiscally sound policy that saves taxpayers dollars and enhance public safety. Enacting term limits is a key component to fighting against the establishment and draining the swamp. 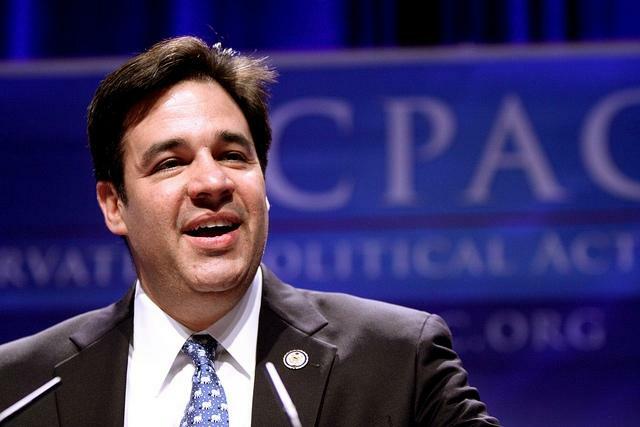 Earlier this year Rep. Labrador introduced a term limits constitutional amendment, H.J. Res. 50. This amendment would restrict service in Congress to six two-year terms in the House and restrict two six-year terms in the senate. Limiting power in the federal government is crucial to restoring constitutional balance. Career politicians have taken advantage of the electoral process and are out of touch with their constituency and the average American. Rep. Labrador has remained consistent along with other members of the House Freedom Caucus on the promise to fully repeal, which is why he opposed the so-called American Health Care Act, which fell short of this promise to repeal the 2010 law. “I would have loved to vote for a bill today that actually repealed and replaced Obamacare. But the American Health Care Act was not that bill. The AHCA would have actually protected Obamacare - trimming it on the margins to keep it alive for a few more years. It was a flawed bill, and its moment has passed. We must keep our promise to the American people to end Obamacare. It's more important to do it right than to it fast,” he added. As a congressman, Rep. Labrador’s commitment to his promises he ran on and his dedication to the principled stances of the House Freedom Caucus is why FreedomWorks is proud to name him Member of the Month for April 2017.